Originally published on July 12, 2017 by marketwired.com. RICHMOND, CA – With funding provided by the California Energy Commission, Volvo Construction Equipment (Volvo CE) has demonstrated a hybrid wheel loader, a piece of equipment widely used in the construction, refuse, and agricultural industries, that achieved a 50 percent improvement in fuel efficiency. The announcement was made at the Redwood Landfill in Novato, California, where the prototype had been operated and tested by Waste Management, Inc. 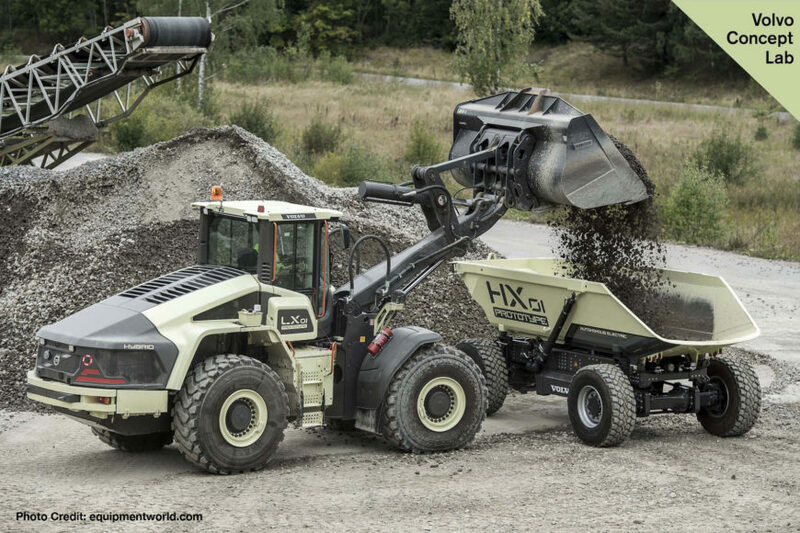 In contrast to a standard wheel loader which uses a 13 liter engine, comparable to one used to power a big rig truck, the Volvo CE prototype was powered by a combination of a much smaller 3 liter engine, batteries, and an electric motor. CALSTART, a non-profit clean transportation technology industry organization, conducted independent testing of the prototype and confirmed the 50 percent improvement in fuel efficiency on average. Waste Management Inc. was an integral partner in the project, operating the advanced prototype at landfills both in Northern and Southern California. The feedback provided by the Waste Management Inc. operators will help Volvo CE improve the product and develop a second generation version. The engine in the prototype hybrid wheel loader used 100 percent renewable diesel which was supplied by Golden Gate Petroleum. Renewable diesel uses organic feedstock and has significantly lower greenhouse gas emissions than fossil diesel. “One of the things we learned from this project is that a hybrid wheel loader can run on a fuel that is 100 percent renewable. When you combine the increased efficiency with the lower carbon fuel, it’s quite possible than in the future we could see such equipment that cut greenhouse gas emissions in half,” said Boesel. CALSTART is a national non-profit organization headquartered in California. The organization serves as a catalyst to accelerate the growth of the clean transportation technology industry as a strategy to create high quality jobs, improve public health, and prevent climate change. CALSTART has more than 165 member companies and offices in three states. For further information about CALSTART visit www.calstart.org.